The beauty of American Coach is more than skin deep. Beyond every coach’s shiny surface, there are layers of undeniable quality — the very backbone of American Coach. 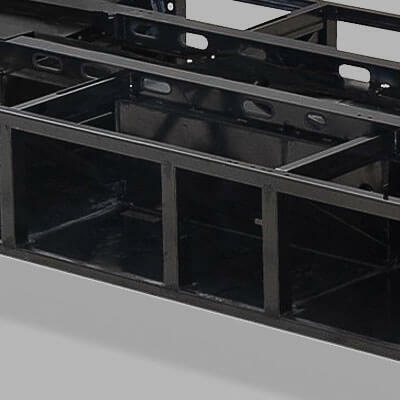 Using unrivaled materials and the latest construction techniques, we start with the best motorhome chassis then build from the ground up. 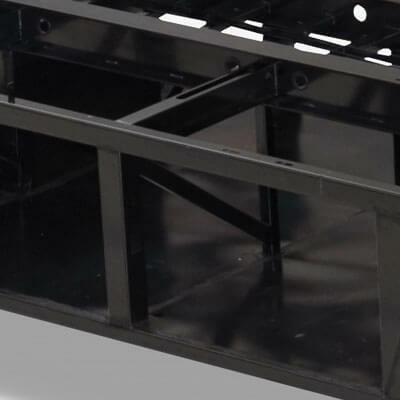 The Liberty Chassis bridge features steel I-beams, each made from one-piece, high-strength steel molds that are inherently stronger than typical three-piece, raised-rail designs that can warp at the seams. Backed by rigorous road tests, you won’t find a stronger foundation. 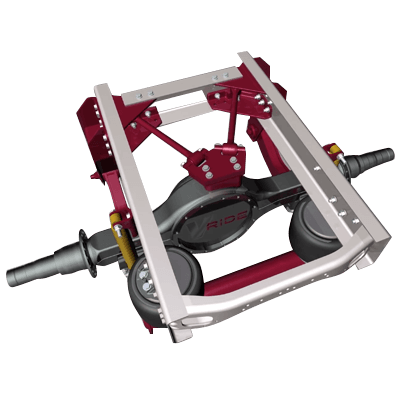 American Coach’s custom chassis features resilient huck bolt assembly. These bolts, known for their undeniable strength and vibration resistance, are considered the most reliable aerospace-grade fasteners available. Huck bolts have a longer fatigue life than other fasteners (up to 20%). 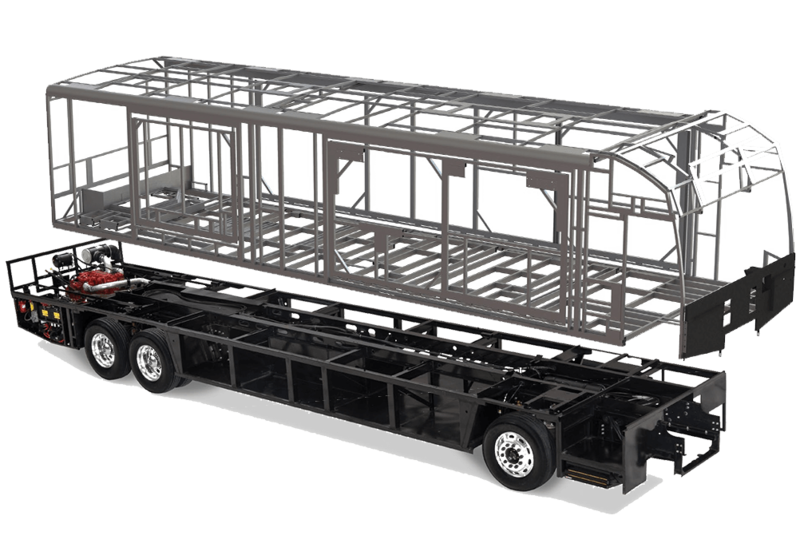 Chassis components are e-coated, an electrically charged process that gives the steel bridge structure a long-lasting corrosion barrier. Moreover, the e-coat was put to one of the most rigorous trials, a 1,000-hour salt spray test to ensure your foundation holds up to the elements. 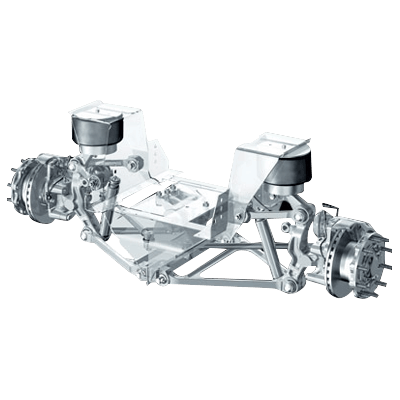 With the Liberty Chassis comes unrivaled handling thanks to a double-wishbone independent front suspension system backed by the dependability of the ZF name (most models). Dual wishbone-shaped arms minimize roll or sway while allowing for a 60-degree wheel radius. 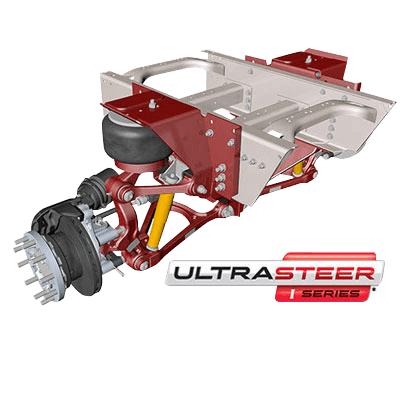 Exclusive to the Freightliner, the Liberty Chassis features an UltraSteer tag axle for precise maneuvering. 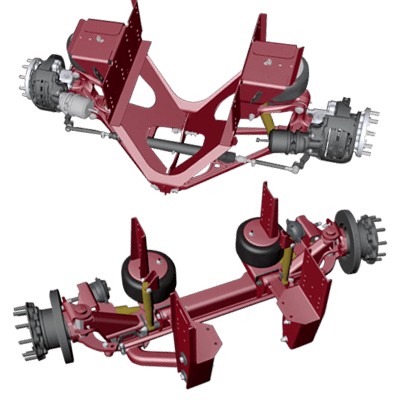 Following the ideal turning path of the front suspension, this tag axle provides up to 17% reduction in curb-to-curb turning radius — a 140% improvement over other designs. American Eagle rides on the UltraSteer I-Series, which combines Freightliner’s tag axle design with enhanced independent axle suspension for full control. You’ll welcome the 20% tighter turning radius. Ready to handle luxury with precision? 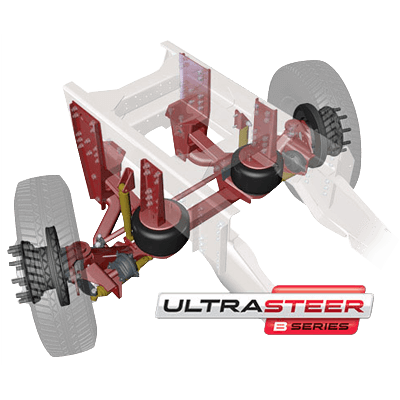 The UltraSteer B-Series straight-beam axle and wide-track suspension arms provide increased lateral stiffness on models like American Dream. 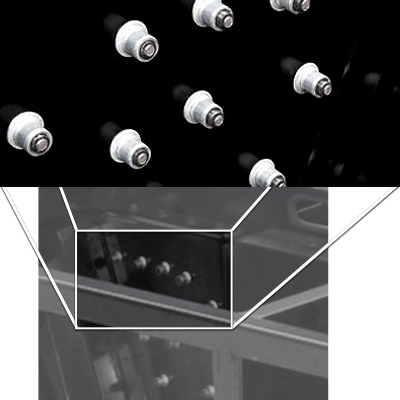 Forward-mounted tie rods eliminate inside wheel tire scrub for accurate steering, even during sudden maneuvers. Experience luxury without limits. 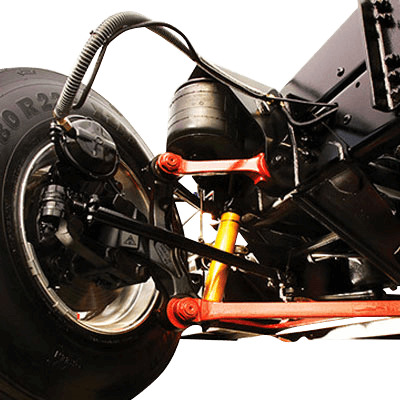 The Liberty Chassis’ V-Ride rear suspension is the first-ever single-axle suspension rated at 24,000 pounds, meaning you can carry more gear without sacrificing ease or safety. American Coach also features a 15,000-lb. integrated hitch. See the V-Ride in action. Your coach is a home on wheels. Not only do you need a solid foundation, you need components to protect everything riding on it. Custom-tuned SACHS shocks, backed by the ZF name, dampen the rigors of the road to protect your coach and create a smooth, enjoyable ride. 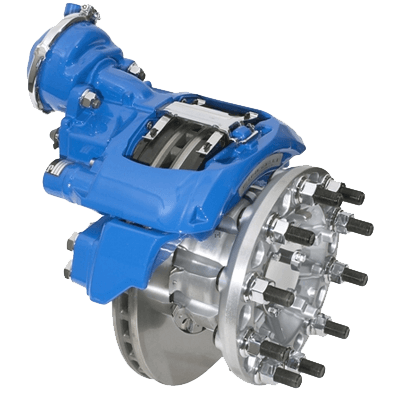 American Coach delivers stopping power with Bendix disc brakes for reduced fade and brake noise. And to make head turns, ride on the reliability of Michelin tires, paired with aluminum wheels to make your coach the envy of the road. Aside from renowned handling, the Liberty Chassis factors other important conveniences, like an easy-access chassis service center. 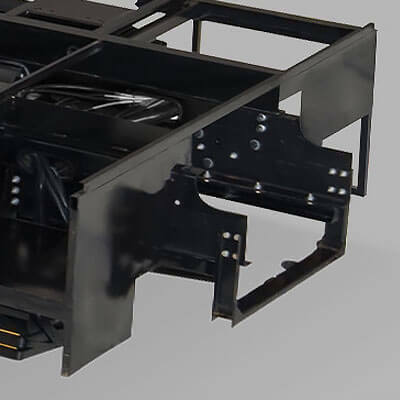 Stay up-to-date on preventative care thanks to the ease of the Liberty Chassis’ single service panel (select models). Want even more convenience? 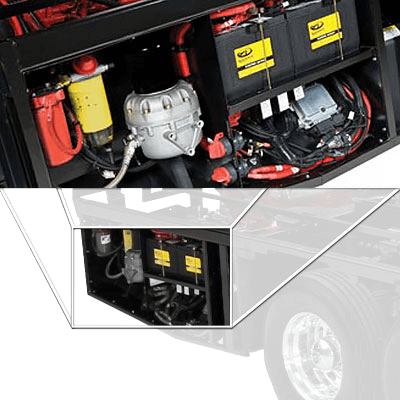 The lower fiberglass front fascia opens at the push of a button, providing easy access to the front chassis components, as well as the powerful Cummins Onan Quiet Diesel generator. Go the distance in American Coach. The Liberty Chassis’ high-flow, 150-gal. 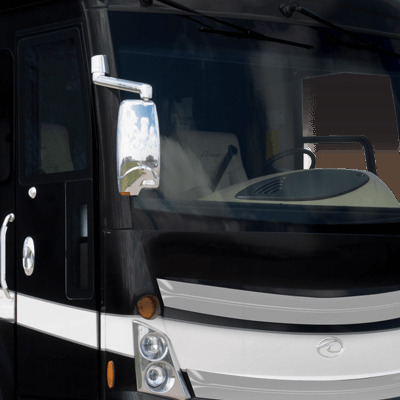 fuel tanks allow you to go farther, fill up less often and fuel up on both sides of the coach. Let’s just say, we know how to build a diesel pusher. 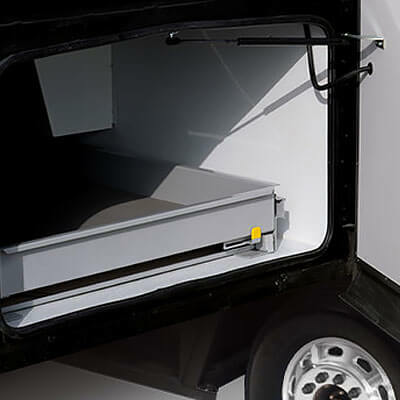 The Liberty Chassis design creates extreme pass-through basement storage space for taller compartments, ample room and easier access — all without compromising the integrity of the American Coach chassis. What’s American luxury without American power? 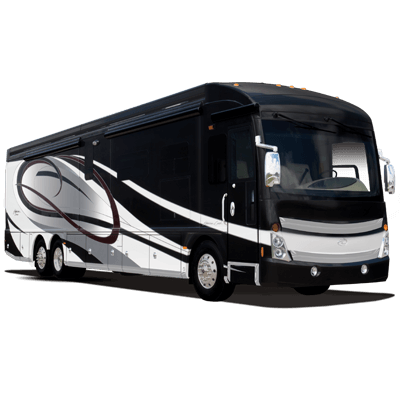 American Coach combines its custom Liberty Chassis with select model Cummins motorhome engines. 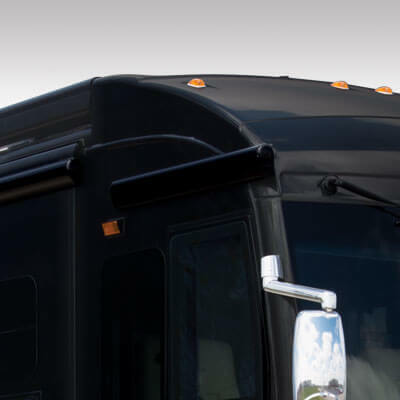 Cummins, the workhorse of the Class A diesel motor coach industry, has long been the favorite among motorhome owners for its fuel economy, renowned dependability and best-in-class power. Leave no hill unconquered. Bring along the tow vehicle. And rest assured that the Cummins name, along with American Coach’s dependability, will get you there. 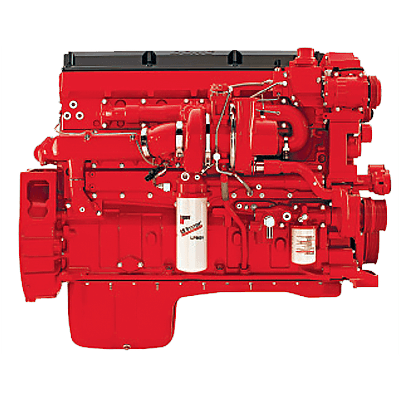 The most popular heavy-duty engine in North America, the Cummins ISX15 delivers American Eagle’s best-in-class 600HP grit, along with 1,950 lb.-ft. of peak torque. The Eagle packages all of this with three-stage engine brakes and an Allison 4000 MH 6-speed transmission with electronic shifter. 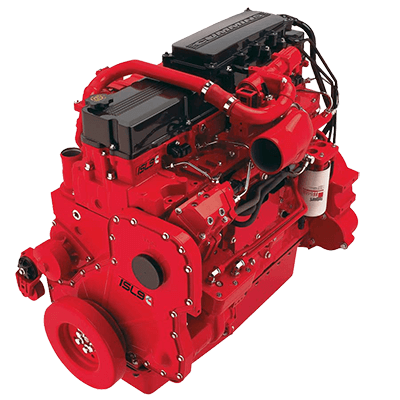 The Cummins ISL9 powers both the American Revolution and the American Dream, delivering a 450 HP ride with 1,250 lb.-ft. of peak torque. The ISL9 has the highest power-to-weight ratio for strong towing capacity and features two-stage engine brakes and an Allison 3000 MH 6-speed transmission with electronic shifter. Sometimes, it’s the details that you cannot see that the matter most. American industrialist Henry Ford said it best — quality means doing things right when no one else is looking. Case in point, beneath each tile, behind every wall panel, above white ceiling liner, American Coach packs more hidden craftsmanship than any other coach. 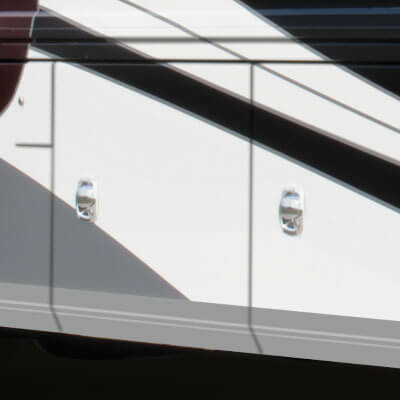 You might not see the difference now, but you’ll feel it years down the road when your motorhome continues to deliver the same American luxury experience. Peel back the layers, and you won’t find another quality motor coach that compares. 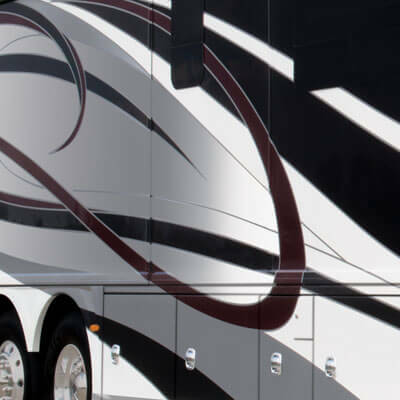 We take pride in every detail of our coaches, right down to the gleam of each paint package, which is why American Coach features its very own custom paint facility at its manufacturing location in Decatur, Indiana. Every coach makes its way through the 125,000-square-foot facility, visiting six different downdraft paint booth stations to achieve American Coach’s pristine look — an automotive full-body paint with sand and buff high-gloss finish.